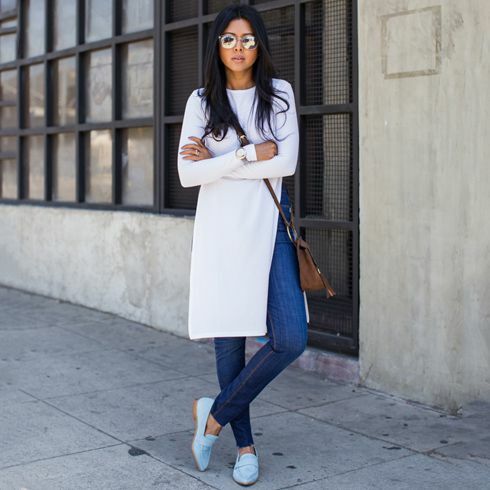 This Pakistani Girl Shared Five Casual Outfit Ideas For Girls To Look More Fashionable! Fashion is all about being ‘your own self’ with style and grace. Because of these increasing fashion inclinations, one must look decent and attractive even at informal and casual occasions. Here is the list of five most trendy and chic casual go-to outfits. Girls look beautiful in such bright colored Kurtas as they appear to be eye-catching and look amazing with all kinds of skin colors. Tights never go out of style just because they are easy to wear and black color manages to balance the flashiness of the Kurta. And what to say about Khussas? Wo Tou Love Hain!! I personally Love Khussas as they are so comfortable to wear and amazingly enhance the beauty of the whole outfit. 2. White Shalwar Kameez with Kolapuri as footwear! The purity and elegance of white color can never be old. This color distinguishes itself from the continuum of other colors very skillfully just because of its pureness. ‘Shalwar Kameez’- being the national dress of Pakistan bears great significance and will rule the list of outfits forever! The combination of Kolapuri with Shalwar Kameez is too much DESI but still a style statement for many. 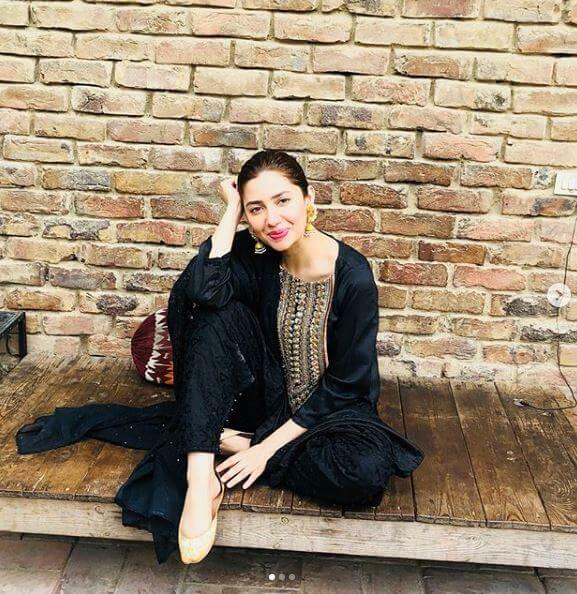 This get-up will make everybody sing “MY DESI GIRL, MY DESI GIRL” Even our stunningly gorgeous actress Mawra Hocane told in an interview that White Shalwar Kameez is her favorite go-to outfit as well. 3. T-Shirt & Blue Denims with Sneakers! This attire is comfortable and attractive for both boys and girls. “T-shirts look good even if they aren’t of your size” HAHAHA!! Wearing blue jean pant is an evergreen trend and the combination with sneakers look so much sporty, casual but cool. T-shirts made of Fleece are available in the winter season and wearing ‘Hoodies’ with this outfit will make it even more ENERGETIC. This is the most favorite outfit of all girls. Long and lose kurtas are always in style because they are so easygoing and comfy. Peach puff and seashell colored Kurtas look great over Blue jean tight and add to the magnificence of the getup. What should I say about round scarves? They are so beautiful and give a street style look. These circle or round scarves are fit in every season (especially in winters) and look so cool with high hair bun or high ponytail. Flat pumps are the most preferred by every girl because of their coziness. Okay! 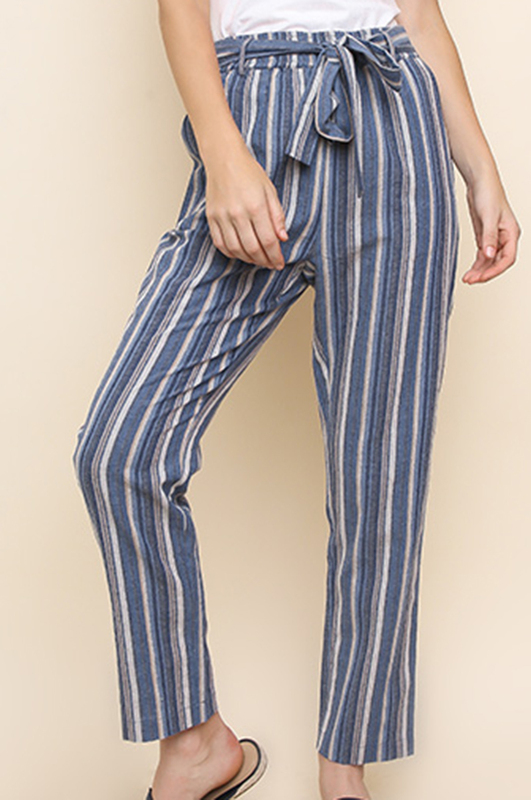 Last but not the least- Short Kurtis were once in fashion a few years ago with Patiala Shalwars, but now again they are in the market and look dazzling with striped print straight trousers. These kinds of Kurtis look beautiful with all types of trousers like cigarette pants and Flare pants as well. Fur slippers are one of the great footwear in town right now. So many dark colored fur slippers are available in markets and they can be worn in homes as well as outside for shopping or a casual lunch with friends. They are easy to wear and give cutest and endearing expression to the whole look for sure. So, what your favorite casual style? Share with us in comments!